Charanga Cubana, Changui Majadero, Rumbankete & The Arsenio Rodriguez Project. 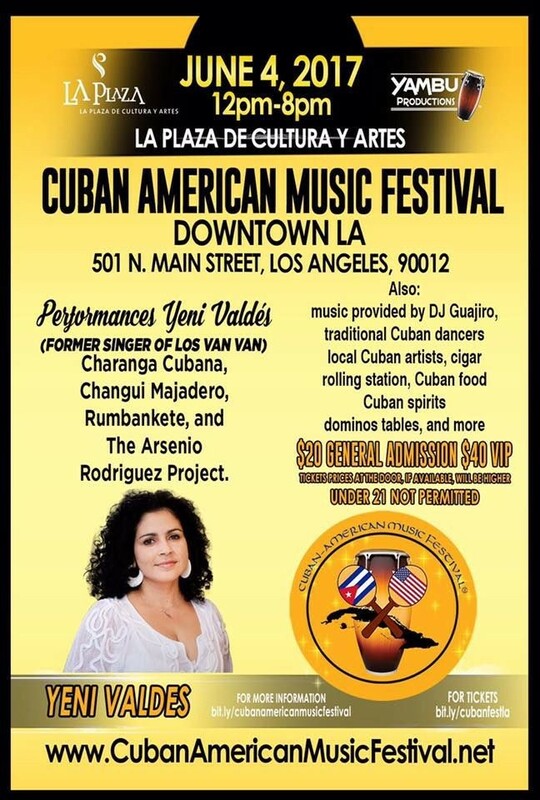 The Cuban American Music Festival will highlight traditional Cuban culture with music, art, dance and culinary delicacies. +++VIP ADMISSION*: VIP tickets $40 includes seating near the stage, access to the concerts, vendors, and art exhibit. Limited tickets available. ​+++GENERAL ADMISSION*: General admission tickets $20 includes access to the concerts, vendors, and art exhibit. No seating for general tickets.